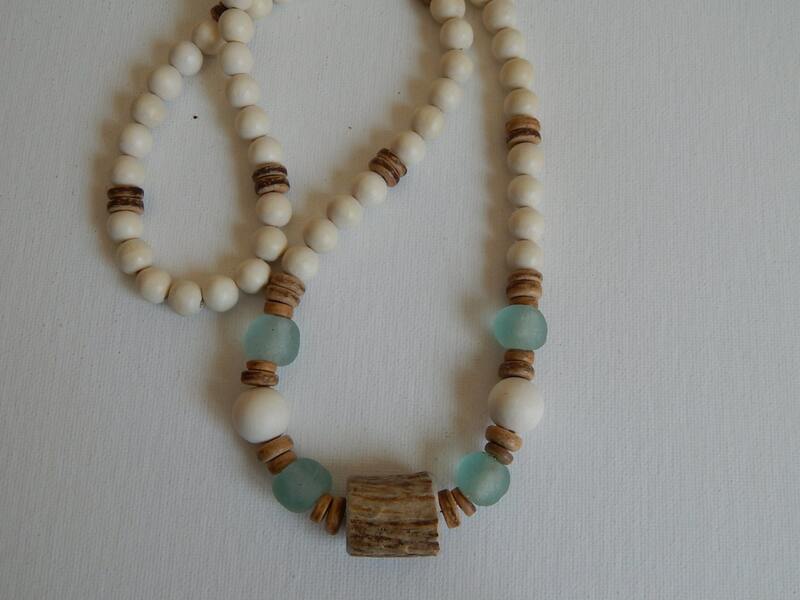 Antler bead necklace made with aqua blue recycled glass beads and white wood beads. 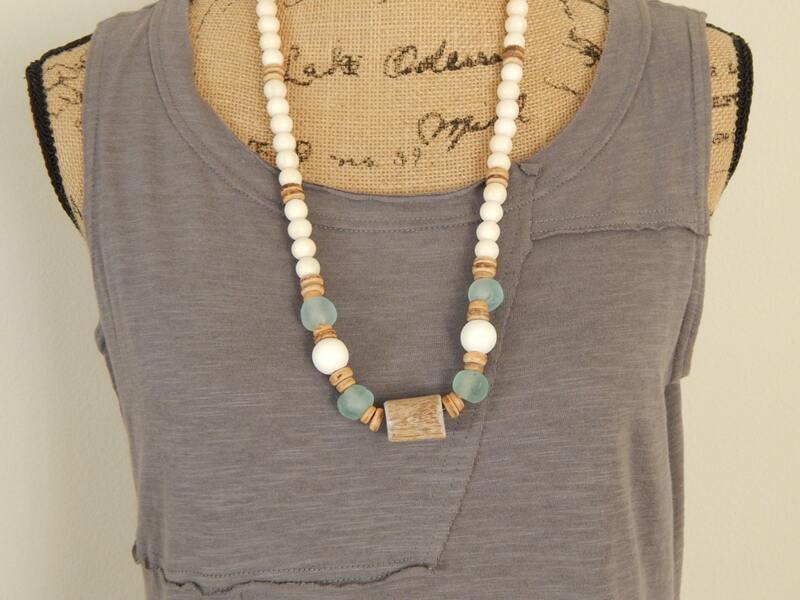 The combination of these beads lends the necklace its organic beachy look and the neutral colors will go with anything. 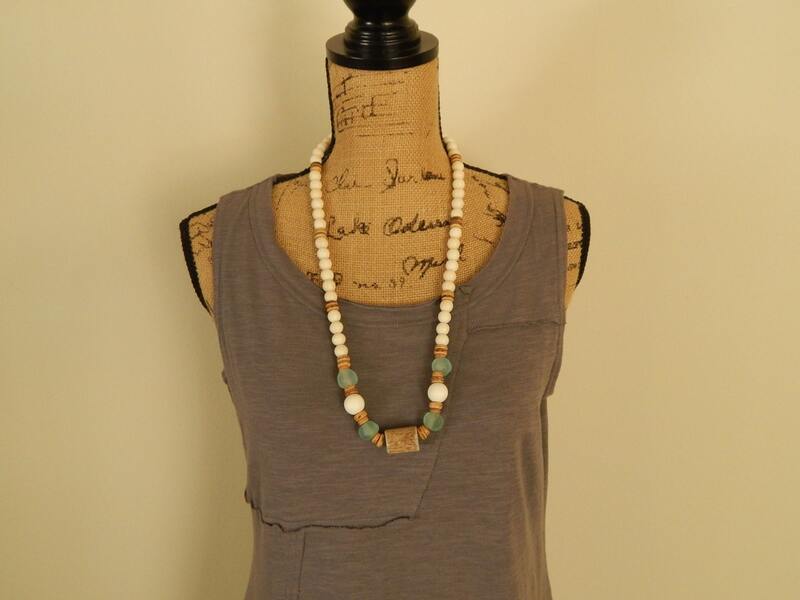 The shorter length makes it easy to layer with others or wear alone for a summer casual look. Necklace length is 28 inches. 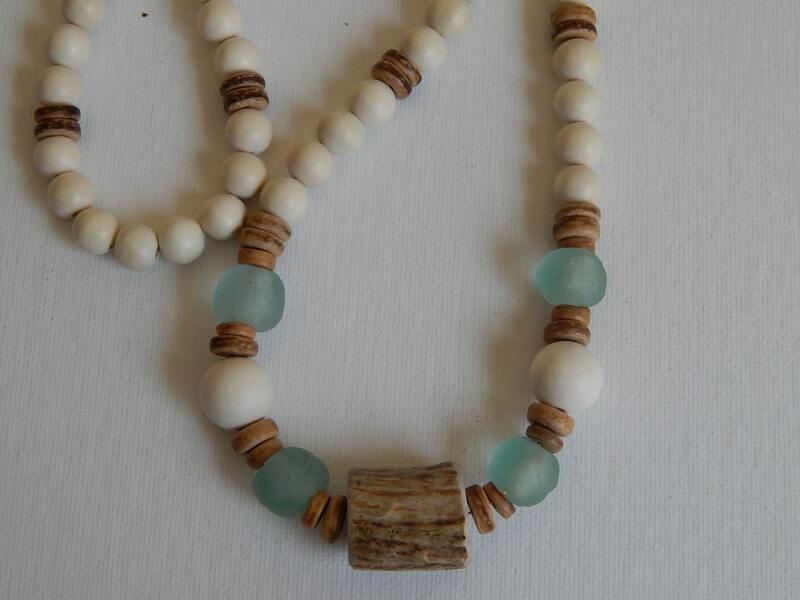 Antler bead will vary in size and shape. Beads vary in size 10mm to 14mm.